This title was first published in 2001. 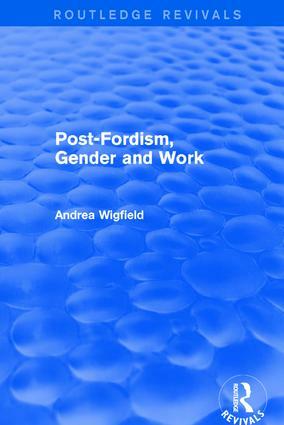 Addressing a significant gap in existing literature, this book presents a gender-informed analysis of the post-fordist economy. It incorporates a gender dimension into the economic restructuring debate on both a theoretical and a practical level, and explores the implications of economic restructuring in the workplace for gender relations..